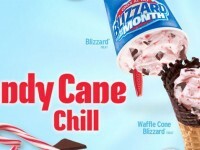 Dairy Queen is getting into the spirit of romance this February with their February Blizzard of the Month. 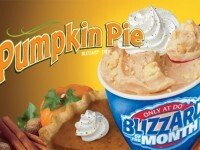 This month, the Blizzard is Red Velvet Cake, which includes chunks of red velvet cake mixed in soft serve with red sprinkles. 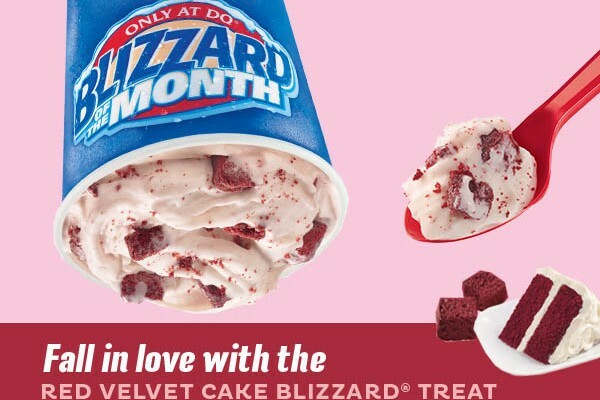 If you are feeling even more romantic, you can get a whole heart shaped red velvet Blizzard cake, which starts at just $9.99. 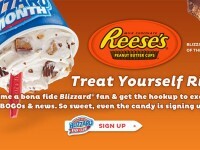 Also remember, you can get BOGO Dairy Queen Blizzards almost every month by signing up for their DQ Blizzard fan club. 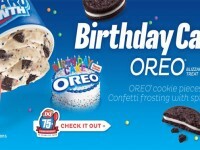 It is a fantastic deal if you like these cool treats.